Tagline: If They Can’t Tell Us Apart, They Can’t Pick Us Out Of A Line-Up. 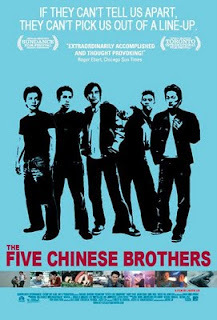 Plot: In this subversive action-adventure, five Asian-American friends, sick of people not being able to tell them apart, decide to use their anonymity to their advantage and plan the crime spree of a lifetime. Note: In case you didn't recognize the poster, here is the original.